Veterinary surgeons in the UK have been given permission to use the courtesy title ‘Doctor’, following a decision made by RCVS Council yesterday (5 March 2015). The decision follows a consultation, to which 11,202 responses were received, where 81% were in favour of the change, 13% against, and 6% did not mind either way. 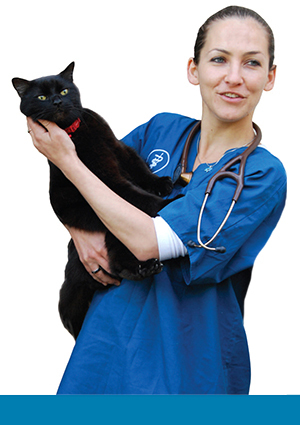 The issue had been raised in a bid to align the UK with international practice, providing greater clarity for the profession and offering reassurance to clients and the animal-owning public that all veterinary surgeons registered with the RCVS, regardless of where they qualified, have veterinary degrees of an appropriate standard. Most international veterinary surgeons use the title and, in Australia and New Zealand, this is frequently tied to registration and professional standing, rather than necessarily academic attainment. “I am very pleased that the response from the consultation gave Council such clear direction and has allowed us to bring UK vets in line with the majority of veterinarians worldwide. It was my privilege to pose the question, which has been well and truly answered by the profession and the public,” says RCVS President Stuart Reid, who made a consideration of the use of the doctor title one of his commitments when he took office in July 2014. The issue had been raised in a bid to align the UK with international practice, providing greater clarity for the profession and offering reassurance to clients and the animal-owning public. Nearly 50% of respondents to the consultation were veterinary surgeons, 22% veterinary students, 21% animal-owning members of the public, and the rest were veterinary nurses, veterinary nurse students, practice managers and non-animal-owning members of the public. Use of the title is optional, and guidance has been produced to support the change. It stresses that veterinary surgeons using the title should be careful not to mislead the public, and that it is important that the use of ‘Doctor’ or ‘Dr’ by a veterinary surgeon does not suggest or imply that they hold a human medical qualification or a PhD. If the title is used, the veterinary surgeon should use it in conjunction with their name and either the descriptor ‘veterinary surgeon’ or the postnominal letters ‘MRCVS’. The guidance is available as part of supporting guidance chapter 23 to the Code of Professional Conduct (see paragraphs 23.6-23.8). Veterinary surgeons may start using the title straight away; details about how their RCVS Register entry can be updated will be issued over the coming months.